Since when do money-lenders get involved in the private lives of their customers? When your name is Social Finance, it shouldn’t come as a big surprise. 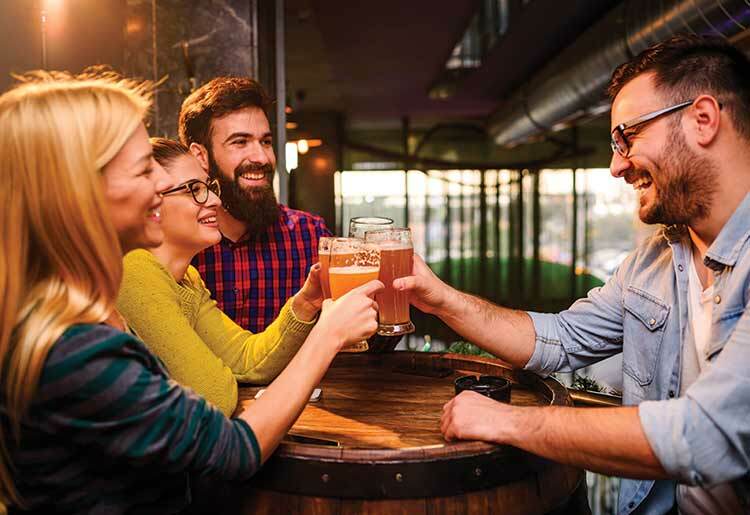 How would you like it if your loan provider invited you out for drinks? Maybe yoga is more your speed? That's no problem. If you're working with SoFi, you can find any number of events that may appeal to you. But, since when do money-lenders get involved in the private lives of their customers? When your name is Social Finance, it shouldn’t come as a big surprise. First, let's take a look at what SoFi is all about. It all started with the simple realization that CEO Mike Cagney had while studying at Stanford Graduate School of Business. The idea was simple; offer student loan refinancing to help promising students ensure that they would not only repay their student loan debts but that they would go on to be successful in their chosen careers. 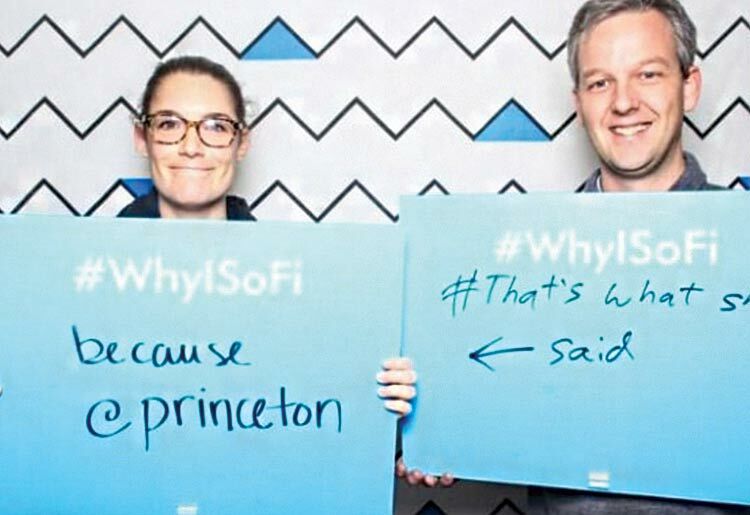 With attractive terms for qualified students, those who were expected to achieve great things, SoFi provided these young people with an escape from the suffocating student-loan-debt monster, while being able to concentrate on their academic and professional success. Cagney appealed to Stanford alumni to help fund the pilot project, which was met with great success. In the 6 years since, SoFi has funded over $12 billion in loans and is helping propitious academics escape from the all-consuming burden of student loan debt. SoFi focuses on students with potential, thus allowing these students to easily handle the debt they’ve undertaken - thereby leaving their talents free to accomplish their goals and thereby lead them on to fulfilling and fruit-bearing careers. From this small and single-focused beginning, SoFi has since branched out into other areas in the finance world, including mortgages, personal loans, and wealth-management tools. With more than a quarter of a million members since its inception in 2011, SoFi is going strong. The key to SoFi's success is in its business model; seek out the hard workers with high potential and give them a leg up. SoFi is no ordinary lender. It doesn’t have borrowers or customers; instead, it has members, and to be a member of SoFi means to receive all of the fringe benefits they believe are coming to you. Cagney states pointedly, "When you become a member, we want to invest in you." To that end, SoFi doesn't just want just to give you money and enter into a repayment cycle. "We don't believe that you should just receive a statement from us once a month and that be it. We believe people are looking for more than that," says former Vice President of Community and Member Success, Dan Macklin. SoFi caters to the ambitious, go-getters of the millennial generation who are no longer satisfied with the status quo of the high-street banks. The emergence of fintech, or financial technology, combined with the growing distrust of the already established financial sector, is leading students away from the standard banking procedures and looking for new alternatives to meet their needs. Fintech appeals to the surge in popularity of all things tech-related in the growing population of tech-informed young-adults. They’re looking for more direction, knowledge, and an understanding of what’s going on with their finances combined with the fast pace and innovation that comes with ever-developing technology. They want to be as informed and cutting edge with their debt as they are in the rest of lives and they want to have a more personal relationship with their financial institutions. So, how do you bring together a group of intelligent and ambitious young people who span the spectrum of professional interests and career paths? By providing them with exactly what they're all looking for; knowledge, connections, friendship, community support, and a good time – all for free. Past events have included workshops, happy hour, games and cocktails, dinners, and brunches. The more adventurous SoFi members out there have also tried their hand at rock climbing and skydiving events. And of course, for the leisure seekers, there are always yoga sessions or catching an Orioles game. The common thread between these events is that they are attended exclusively by SoFi members and employees and guests of the members and employees. 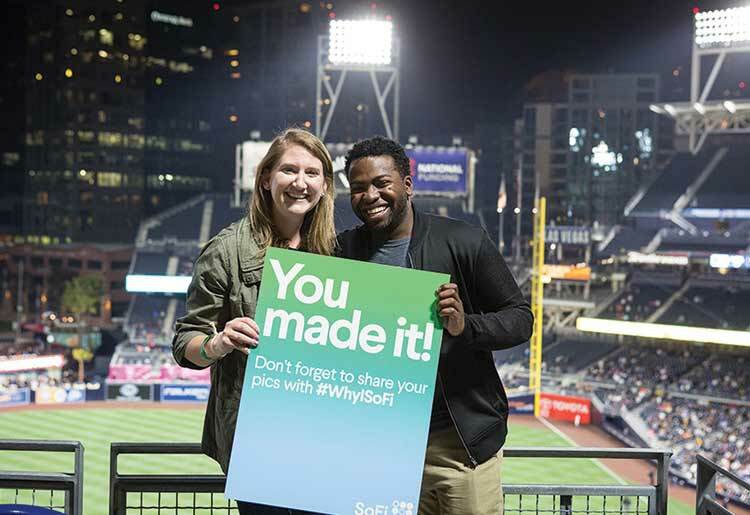 There are greater networking opportunities for everyone in attendance because you know your fellow SoFi members have also been approved and share the same success-trajectory as you. By being exposed to differently talented, but similarly capable members, your net can be cast wider than ever and bring in a greater number of potential leads. Additionally, by mixing career counseling and wealth management tools into some of the events, everyone is getting the best of all possible worlds. The ties between all involved create the community feeling that makes SoFi one, big, happy (and successful) family. Aside from the obvious business advantages that come from networking with other professionals, there are further bonuses to the SoFi event scheme. For one thing, members get to learn new aspects of the financial industry in a creative and fun atmosphere. They can also improve their social lives for free because the events are free of charge; young people with student loans love a good time that doesn't cost them anything. Other benefits include job opportunities for those who have suffered job loss. SoFi will suspend a loan temporarily while a member is searching for a new job, and tries to help that process along by introducing new career opportunities through community exposure. This is one of the ways that SoFi diverges from the conventional banking route. "For example, one of our members loses their job; we'll put them in unemployment forbearance. We'll actually help them get re-employed. We've done that over 200 times for our members. And it's very different than how a traditional financial services firm would approach banking," says Cagney. SoFi hopes the goodwill generated by these events will improve its members' personal and professional lives and keeps its proverbial finger on the pulse, constantly trying to make members even happier. "We know people have been on dates after meeting at SoFi events, and we're embracing that," Macklin mentions. As a result, there are even talks of developing a dating app. “We are going to have a SoFi dating application,” Cagney said. “And it’s not just because I want to run an ad saying, ‘When did your bank ever get you a date?'" Happy members can make each other happy. This leads to even more productivity. While goodwill plays a big part in SoFi's philosophy, it’s not the only motivation. Nurturing company loyalty is crucial to its continued success. Good feelings keep SoFi in the hearts and minds of these enterprising students as they mature into successful, financially stable adults. The result being that when it comes time for other major money matters, SoFi remains the first stop for members and they will come back to the old familiarity of the friendly SoFi community. The hope is that once they get in with the student loans, SoFi will be firmly in place to walk you through your major financial milestones in life, whether for a personal loan, a home mortgage, or to make use of its wealth management assets. If you choose SoFi once, they hope you’ll keep coming back. The financial institution’s best asset is that SoFi members "love the platform." This community-minded attitude fits well into SoFi's already alternative methods. Instead of giving students huge loans and leaving them to flounder in the ensuing debt all alone without information or tools at their disposal, the money lender can see how beneficial it is to make the borrowers into educated consumers. SoFi followed this thinking and took it to a new level by introducing the community model and all of the instruction and guidance that goes with it. By seeking out candidates who are low-risk, SoFi is limiting the chance of having members default on their loans. Add to that the built-in network of peers, as well as informed counselors to teach them how to handle their wealth and their debt in practical and realistic ways, and SoFi is really providing millennials with the means to take on their lives with confidence and security. They are achieving the independence they want in terms of finances while maintaining all of the comfort and benefits of community-living.